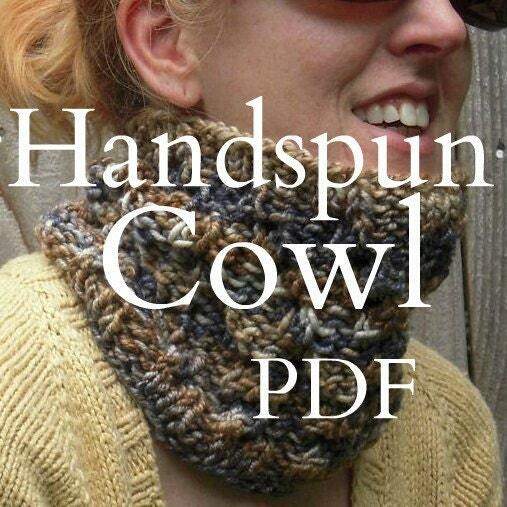 Handspun Sidewinder Cowl PDF Pattern -- The sidewinding faux cable pattern on this cowl resembles tracks in the desert from sidewinder snakes. 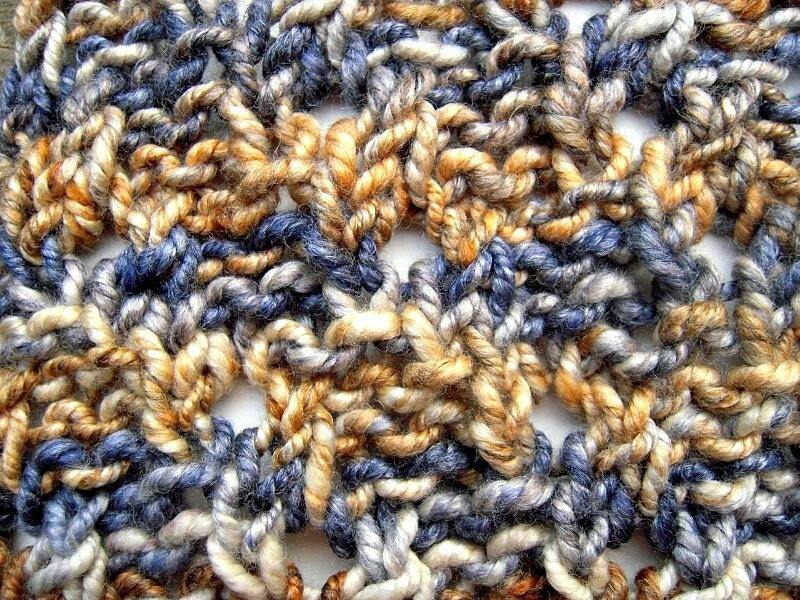 This pattern creates a sturdy, warm cowl or plop it on your head for a fashionable slouchy earwarmer/almost hat! 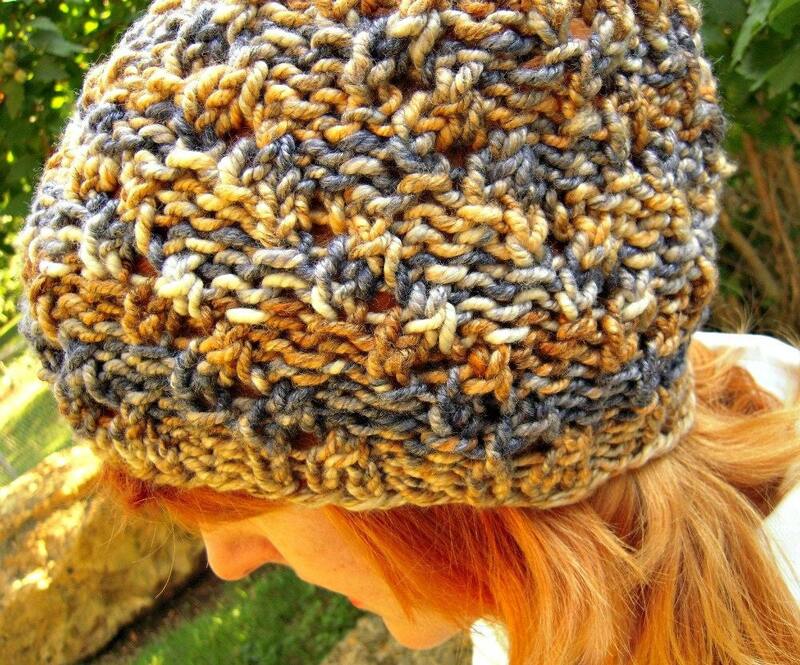 A super fast knit, this pattern showcases bulky handspun but would also be fabulous in commercial bulky yarns like Malabrigo chunky or Debbie Bliss Cashmerino (or Treasured Handspun available <a href="http://www.etsy.com/shop/treasuregoddess?section_id=6324465">HERE</a>. 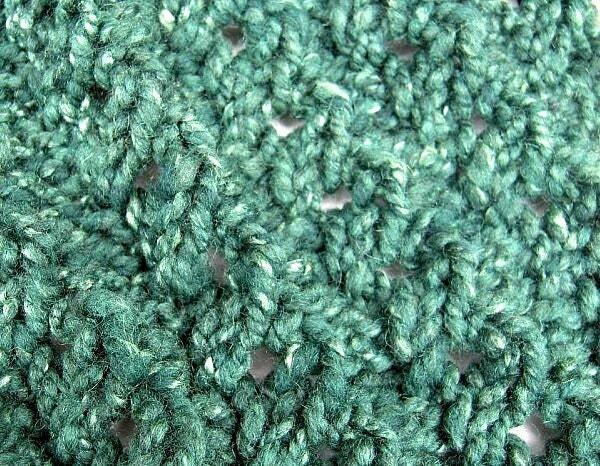 Bulky handspun or commercial yarn. Not horribly important, but try to get close. Different gauge means different yarn quantities. 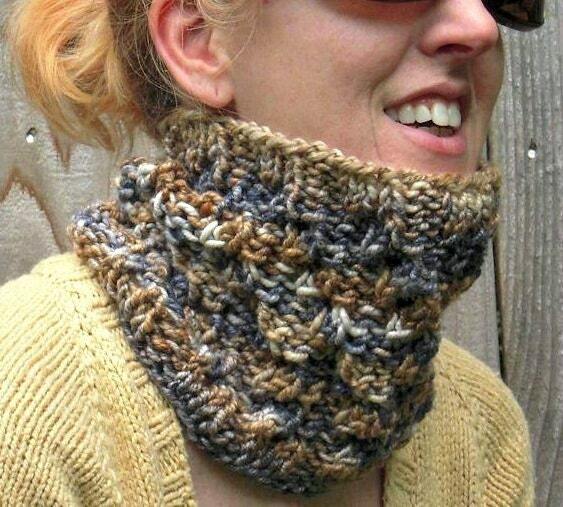 You can even plop the cowl on your head for a fashionable earwarmer! Voila!